In our discussions on integral mission we need to reflect on the division between Church and State, religion and politics. The media in Europe picks up on fears that the influx of refugees could threaten the “Christian Values” that many of the European nations have been founded on. This is a somewhat interesting remark when simultaneously there is a demand for a secularisation of society, requiring the expression of faith to be separated from the public square and from politics, and to remain a private affair. It is important to not confuse the separation of Church and State (and for that matter Synagogue and State, Mosque and State, or Temple and State) with religion and politics. Every nation is made of up of citizens who will have different beliefs and adhere to faiths or no faiths. Each person will express their concerns regarding public life, community issues, social services, economics and political decisions through the lens of their beliefs (yes, even those who claim to have no belief have a framework – e.g. humanism - through which they consider issues and concerns of life in community). The expression of each opinion is important, it is indeed a right (Articles 18 and 19 UN Human Rights Declaration). Every person of faith or no faith has the right of expression and as Christians we should stand for the justice and equality of this freedom of expression. Therefore, religion and politics cannot be separated because what one believes affects what one stands for and works towards. Our Micah vision is to see communities living life in all its fullness, free from poverty, injustice and conflict. This vision is grounded in Scripture and Micah 6:8 calls us to what God requires of us. My faith and obedience to Scripture directly affects my politics. Building on this, we are called to disciple nations. We need to therefore be speaking truth in the public square, speaking truth to power and to one another, so as to positively influence decisions for our nation that move us together towards Shalom. The problem with one specific faith being linked to power – the State - is that it will swing the balance towards one faith often to the exclusion of others. Further still it could lead to authoritarian treatment of others, persecution and marginalisation. Seeking the Common Good for our nations will include upholding the right of expression of all faiths or none in the public square, and ensuring our own voice is there. We need to find a way to discuss, debate and settle our deliberations in public life (in the public square) through reasoned persuasion, free of coercion, fear, force, intimidation, manipulation. Able to make decisions based on access to information, to truth, to unbiased research. Jesus spoke in the public square. He challenged political and religious leaders, he defended the poor and marginalised, healed the sick and delivered the possessed. His faith totally affected his politics and he lived this publicly. His legacy is the Church (ecclesia) – a people called out to take responsibility. 1) Changed perspective: we need to ask God to help us to love all of our community, our nation – each person. To love with a love in humility with compassion, mercy and justice. 2) Dare to dream and to hope: we need to have the audacity, the conviction and the belief that the Gospel is the power to bring liberation, restoration, redemption, transformation and wholeness to each person and to our nation. 3) Courage to live out what we believe: loving because we are loved, serving because we are set free, building because we are ambassadors of the King, speaking truth because what we have is too good to keep for just ourselves – it is life for all. Micah represents a community that seeks to do this together in the public square. We call on all believers to be what God has called us out to be. Lord hear our prayer – send us. This is now the third year in a row that Ethiopia has faced a drought. The consequence is deeply concerning as some 30 million people are affected. Save the Children raised the alarm last week giving a figure of 6 million children who are now malnourished. The Ethiopian government has been calling for help for some time now. Early warning systems were in place and the international community alerted. However, response has been slow. Why? Is it that the images been shown no longer impact us? Kurkura Waffo from the Ethiopian Kale Hewot Church Development Commission (a member of Micah) has asked us to pray for this crisis, compounded by violence in the south of the country. Lord, your heart is for the poor, the hungry. 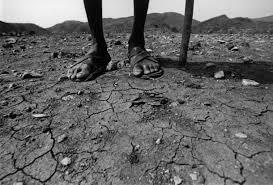 We ask you to draw attention to the drought affecting Ethiopia and other nations. Please send your rain to revive the land, to care for the livestock and bring relief to the people. The inequality of so many being hungry when others have so much is shocking. Wake us up to care for one another Lord. You were able to take just a few fish and loaves to feed many – we ask you again to multiply and feed each person in need. 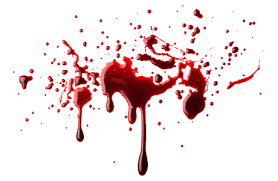 On the 4th May 16 villagers in Ben, North Kivu, DRC, were mercilessly hacked to death. This volatile area is again the centre of grotesque violence. It is unclear what the reason for this atrocity was. It may have been land disputes linked to the regions mineral wealth; it may have been ethnic related violence. The images sent to Micah of the victims included a child of about 6 or 7 years with their head partially decapitated, a man with an axe in his head and a woman sliced open after being raped. This has been profoundly shocking. We are too used to hear violent news from the DRC. Please stop what you are doing and cry out to the Lord for this broken nation, for the all those traumatised by the violence, for all who have lost loved ones. Hold them before the Lord and protest! Pray for the authorities, the UN peacekeeping forces, and all those involved in safe keeping - that they may prevent this. Pray for the church to become bringers of peace. IPMI (Intercessory Prayer Ministry International), a member of Micah, is hosting a special prayer gathering to focus on global leaders and cities. Every year there is a global movement day to focus on 100 global cities. IPMI invite Micah to pray with them. For more information and to take part see here. Lord, we pray for Christian leaders around the world - may they earnestly seek you and follwo you in humility and obedience. 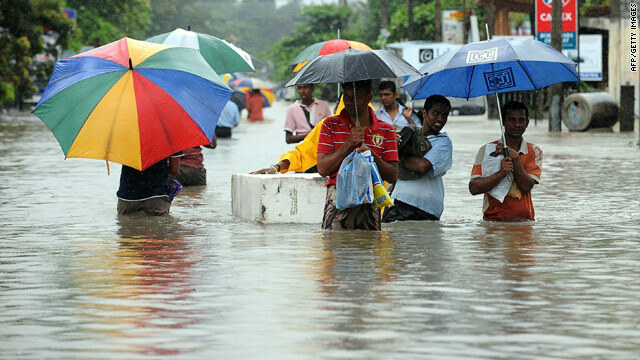 LEADS Sri Lanka have asked us to pray with them: "The current monsoon conditions with severe rains are threatening to overflow some of the rivers. This poses a threat of flooding to the LEADS residential therapeutic center for children. We have been advised to evacuate the children as a precautionary measure." Pray for this process. Pray for the residents around these rivers and for our staff. Please also pray as we prepare to and may be requested to respond to this situation. CCD Conference: 30th May to 3rd June: please cover us all with your prayer as we gather in Germany for this important conference: Doing Church God's Way: rethinking faith and development. National Coordinators Workshop: August 2016. This is of vital importance: 43 of us need to gather together for this week of learning, sharing and startegic development. We will need the help of all our members to enable this to happen. Please pray for each national coordinator as they seek to raise the support so that they can take part. As you pray, consider how you can help ensure no one is left behind. Contact Sheryl to sponsor a coordinator. im:press: our first two books in the M-Series will be published this month. Please pray for the impact of this amazing resource and that it reaches our members around the world.